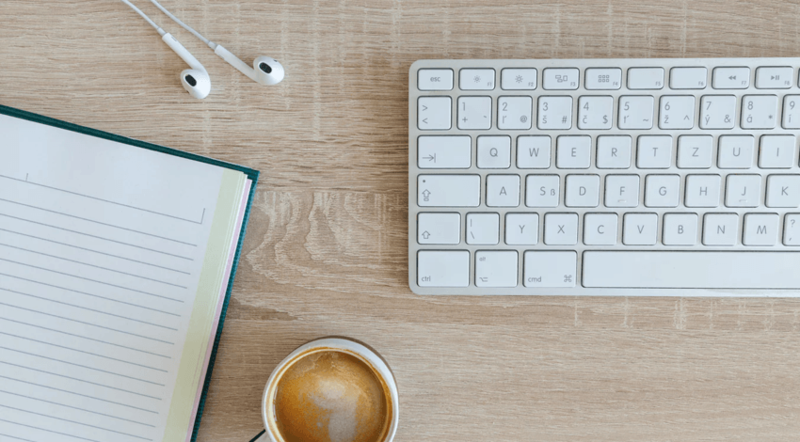 If you spend quite a bit of time in front of your Mac’s screen – be that your leisure or monotonous office work, a wise thing to do is to learn a few tricks that would help to save your time and increase your productivity. Mac Keyboard Shortcuts is exactly what you need: this skill is easy to master, and it will make the work of your Mac more efficient and swift. Besides, you may gain the fame of a savvy Mac expert among your colleagues and friends, which is just another small reason to smile. Whether you are a newbie to the Apple world or have been using your Mac for years, we are sure that the following top 9 keyboard shortcut tricks will become extremely helpful to you. To get started, let’s take a close look at the keyboard of your Mac: on it you can see several keys which are unique to Apple computers. Control key – put next to the Function key, with a name ‘control’ on it. In fact, many shortcuts fit certain menu items which a user can find in the upper part of Mac’s screen. The easiest way to learn new shortcuts is to simply check on the top of a menu item, to see if a keyboard shortcut combination is written there. Now you know what Apple’s special keys are and where to find them, and we can move to learning some of the handiest Mac Keyboard Shortcuts. Those users, who have been previously using Windows, know that the easiest and most common way of stopping an app is to press ‘X’ button at the upper right of any program’s window. However, in macOS, it’s not enough to click on the red ‘X’ button (in the upper left corner of a window) to fully quit an application. To exit Mac application completely, you need to either choose Quit from the app’s menu or use the Quit shortcut, by pressing Command – Q. Something we should remind you of is that the excess number of the apps opened and running in the background on Mac slows down the device’s performance. Command – W shortcut immediately closes (but doesn’t quit!) the window of an app which is opened at the moment. Option – Command – W shortcut will instantly close all opened windows of a currently running app (for example, all windows of Finder which is an application, too). Command – W and Option – Command – W shortcuts basically do the same as the option Close Window does in the Finder. Command – T shortcut can open a new tab in the Finder or a web browser (in Chrome, Safari, etc.). Command – Shift – T shortcut can be very helpful for Chrome: it opens the most recent of the opened tabs. If you hit this shortcut repeatedly, the closed Chrome tabs will re-open in chronological order. Command – Tab shortcut activates application switcher on MacOS X’s and helps a user to easily switch between apps launched and currently running on a Mac. Each time you press Tab, while the Command key is held down, you’ll switch to the next tab, out of those opened, going from left to right. Command – ~ shortcut basically has the same function as the previous one, with the only difference that it opens running tabs from right to left. Usually, you can find ~ (tilde) above Tab. Those users who write and work with the documents a lot know well how often they need to copy – paste and cut their text. Opening the Edit menu, to choose these options each time slows down their work. This is why the three commands are so handy: Command – C stands for ‘cut,’ Command – V – for ‘paste’ and Command – X for ‘cut.’ Learn them, to save your time. While working on a computer, we all make a lot of various search requests. Command – F shortcut can quickly open a small search bar in whatever app you are currently using. Press these two keys to quickly find things in Chrome or Safari, Word or Pages, or in the Finder. At some point of your work or simple communication, taking screenshots on your Mac can be really handy. Press Command – Shift -3 keys to capture the view of your device’s entire screen. Use the other shortcut Command –Shift – 4 to select a certain area on your screen, and take a picture of it. If for some reason you need to instantly close an app you are using, get Command – H shortcut to help you. Use Command – Option – H shortcut to de-clutter your desktop, and close all applications opened in the background, to leave just the front one. If suddenly an app you are using, freezes and stops responding, you might have to force quit it. The first option is to quit the irresponsive app with the right-click on its icon in the Dock. As an alternative, you can use Command –Option – Esc shortcut. Once you hit these keys, a window of Force Quit dialogue shows up, to let you quit the app. Hit Command-Tab to first close a currently used app which stopped responding. Hit Command – Shift – Option – Esc to quit a current active app. Spend a bit of your time to learn these top useful Mac keyboard shortcuts and make your work more efficient.